Fujirumors's latest review was written by yours, truly drunk. It's the first part of a long-overdue review of the Novoflex BALPRO T/S macro and tilt-shift bellows. You may remember that I published part 1 back in July here. Soon after, all hell broke loose back in Nagareyama. And by the time things quieted down again, the second part was overdue. As about half of what I shot with the BALPRO T/S was captured by an X-T1, it seemed meet to put Part 1 and XT-1 together. Part 2 is in the final editing stages. When I picked up the Sony A7r to replace the Nikon D800 for work outside my studio, I purchased the Novoflex F - Sony NEX mount adapter and ASTAT quick release system. Why? Novoflex's modular systems work hand in hand with one another. They serve a greater vision that, in the long run, serves the photographer. Novoflex is the Transformers of the adapter world. The Novoflex BALPRO T/S system and a few, tiny M39 enlargement lenses, will replace my current on-the-road system of bulky, expensive tilt-shift lenses. No, BALPRO is not cheap, but it is modular. It is well machined. It is far more stable than the Horseman VCC Pro, and seems to be reliable even for my somewhat heavy image stacking requirements. While it doesn't offer the free-ranging movements of a 4x5 camera, it is rock solid, and in many ways, less frustrating than an unmodified tilt shift lens. In the coming months, all strobe photography will be shot with the BALPRO and A7r system. Even in studio, it will substitute my 4x5 camera. 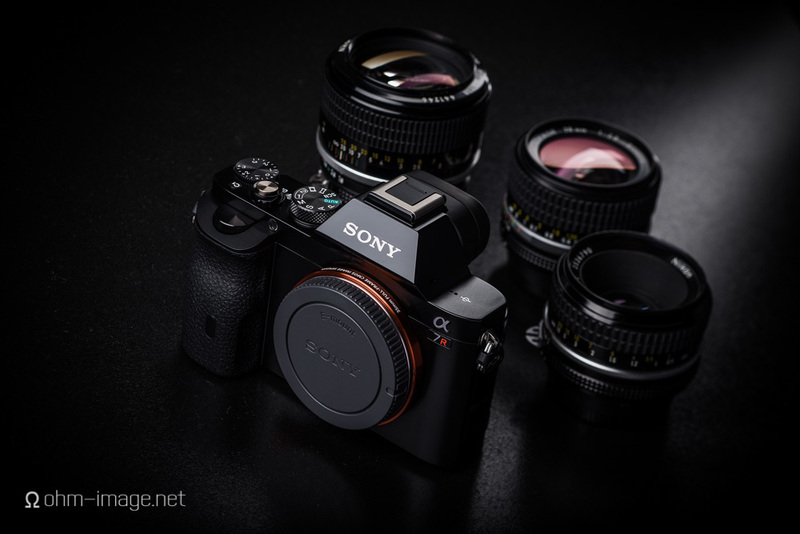 As seen on DPReview, vk Photo's homebrew NEX - 9x12 plate adapter allows the melding of technology that is separated by a century. It is actually very similar to the system I use for commercial still life, the main difference is that my camera sits on a 4x5 camera via a sliding adapter. The moral of the story? If you can adapt it, you can use it. And most decent old lenses are still good enough today. This may be an isolated case, but surely one to watch. DPReview member, mkandil, describes it in detail in the DPReview forums. In addition to the most amazing audiophile portable audio player ever (review and pictures coming soon) my pre-ordered Sony Alpha α7r hit my doorstep this evening. It came in a big box. It came COD and it packs a USB cable. There's even a wall wart, some literature and a strap. It didn't come with a battery charger. What? Nope, you have to shell out 59$ for one. And the bad news is that you will need one. Battery life is atrocious. After taking 10 exposures (and probably 10-15 minutes of poking around menus), battery life dropped from 100% to 75%. Naturally I was using live view the entire time. But even the D800's battery-hogging live view would last at least several dozen exposures before draining by the same amount. Extra batteries are required. Battery chargers are required. 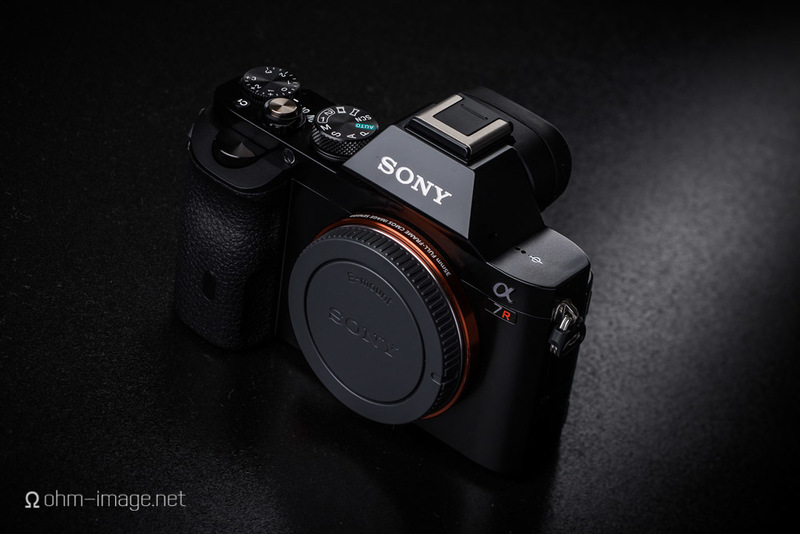 Otherwise, it’s a snazzy-looking piece of kit, but not as coherently snazzy as Fuji’s X-Pro 1. So far, I have shot only one frame with the a7r. I'm a manual reader, and mine's in Japanese, so it will take a bit longer than normal. So far, the interface is confusing. All I know how to do is set ISO, RAW/JPEG, and shutter speed. Of course, as a still life audio photographer, I don't need much more than that. I can tell you that the hot shoe syncs just fine with my Flashwaves III wireless transmitter. My profoto Pro-B’s worked perfectly. And the camera doesn't seem to jump too much when shooting. But it is loud, and until I figure out how to keep it from going: kabbup bup bup kaboop, I will obviously have to keep my ears plugged with something sweet. Equally as obvious, I will need to bone up on WB. What is to be sure is that next to the Nikon D800, it is a LOT less sturdy. The side latches are as cheap and flimsy as a Nikon D5000's; the card door is a pull out plastic affair. I see no weather gaskets around any hinge or door. This is NOT a weatherproof camera. It is NOT a weather resistant camera - at least as is dictated by current market standards set by Nikon, Pentax, and Olympus. But this bad boy will replace my D800. I need a more agile camera, a camera that can stretch on long bellows without weighing the skeleton down too much. I need a camera that doesn't have a big arse flash sticking out that interferes with bellows or T/S lenses. Naturally, I need a camera with good image quality. So far, the single frame I shot indicates that that won't be a problem. What I'm not keen on so far is the complicated control scheme. But then again, I'm a simpler man than most. My needs are like 1/10th of yours. And in the following week or two, I will report on how they are fed by the a7r. I will be shooting several small review projects for ohm. That should get me boned up enough for two largish shoots for Mac Audio and Headphone Book (I'm a geek photographer) come December. In the mean time, I will mount the a7r to Nikkor Ai/S lenses via Novoflex’ excellent NEX-F mount adapter and ASTAT tripod ring mount. I don’t expect I’ll use the camera much whilst out and about. Why? Because I don’t shoot Sony style. Whilst out and about, I'm pretty set in my ways. Either a rangefinder or a real SLR. Nothing else- at least not yet. Currently I shoot with a Fuji X-Pro 1, which typically is screwed around the tiny Canon 35/2 LTM (M39) lens. I came to 35mm photography from a Nikon FE, and then a Canon P. The Fujifilm X-Pro 1 is a camera so half-arsed that it is tiring to find new derogatory puns that fit it. But without dishing out for a Leica M, it is as close to the simplicity of a physically controlled camera as is available. Shame, really. The good news is that Sony are not trying to be anything- at least not that I can tell. The a7r is the first interchangeable lens 35mm equivalent 'full frame' camera that is the same size as medium-sized SLRs of yesteryear. I hope that smaller cameras with full frame sensors and traditional layouts come out so that I can replace my half-arsed Fuji. If it be Sony, so be it. I am planning to purchase Voigtlander's VM-E helicoid mount in order that I can use my LTM (M39) and M lenses on the a7r, just for fun. Since early this year, I have used a Hawk's Factory helicoid adapter on my X-Pro 1. Amazing. Mostly. Its most serious problem is that it is machined quite cheaply from soft aluminium. Actually that would be its second worst offence. Its first is that the tube through which the lens projects an image is reflective. That surface both exacerbates existing lens flare and creates its own. Voigtlander should be made better.